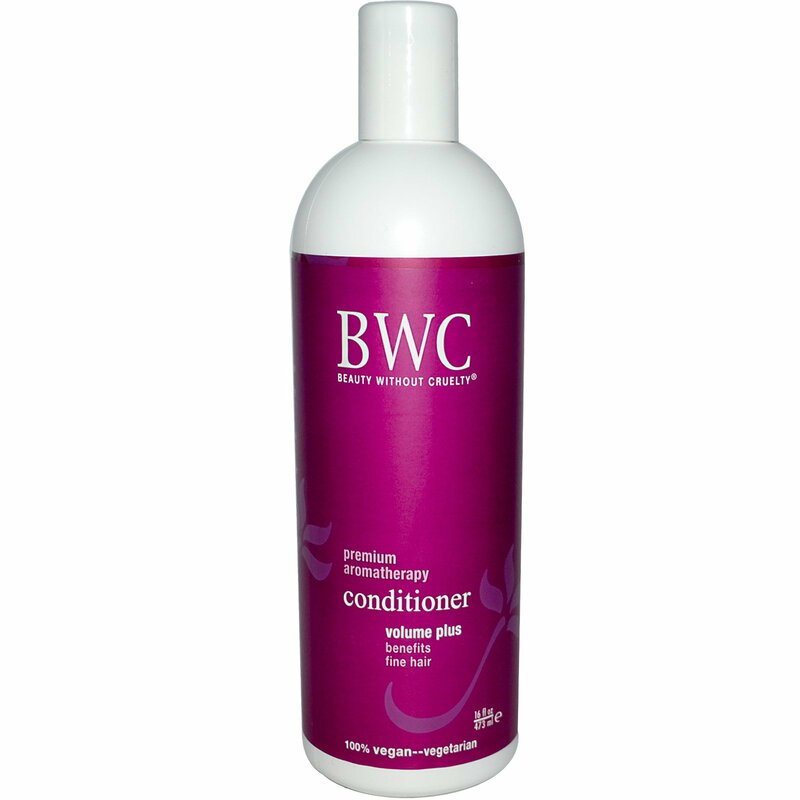 BWC Volume Plus Conditioner is a natural, plant-based formula for fine, flat, thinning hair. 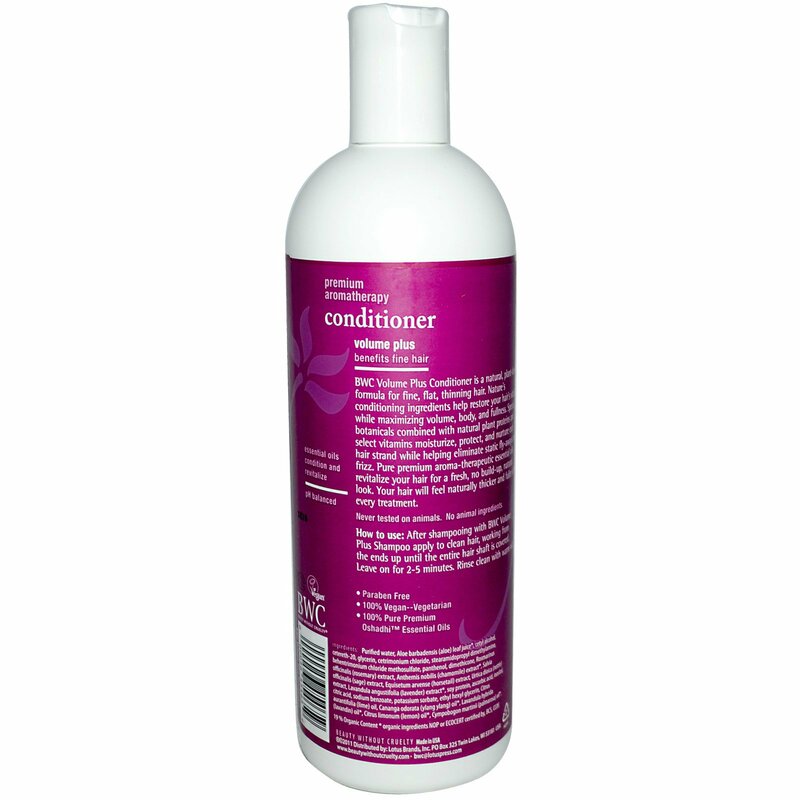 Nature's conditioning ingredients help restore your hairs vitality while maximizing volume, body, and fullness. Special botanicals combined with natural plant proteins and select vitamins moisturize, protect, and nurture each hair strand while helping eliminate static fly-aways and frizz. Pure premium aroma-therapeutic essential oils revitalize your hair for a fresh, no build-up, natural look. Your hair will feel naturally thicker and fuller after every treatment. After shampooing with BWC Volume Plus Shampoo apply to clean hair, working from the ends up until the entire hair shaft is covered. Leave on for 2-5 minutes. Rinse clean with warm water. Agua purificada, aloe barbadensis (aloe) jugo de hoja *, alcohol cetílico, cetereth-20, glicerina, cloruro de cetrimonio, estearamidopropil dimetilamina, metosulfato de cloruro de behentrimonio, pantenol, dimeticona, extracto de rosmarinus officinalis (romero), extracto de anthemis nobilis (manzanilla) *, extracto de salvia officinalis (salvia), extracto de equisetum arvense (cola de caballo), extracto de urtica dioica (ortiga), extracto de lavandula angustifolia (lavanda) *, proteína de soja, ácido ascórbico, inositol, ácido cítrico, benzoato de sodio, sorbato de potasio, etilhexilglicerina, citrus aurantifolia (lime) oil, cananga odorata (ylang ylang) oil *, lavandula hybrida (lavandin) oil *, citrus limonum (lemon) oil *, cymbopogon martinii (palmarosa) oil *. * Ingredientes orgánicos NOP o ECOCERT certificados por, BCS, CCOF.